The “coach’s” must have item is our traditional San Marino bench. 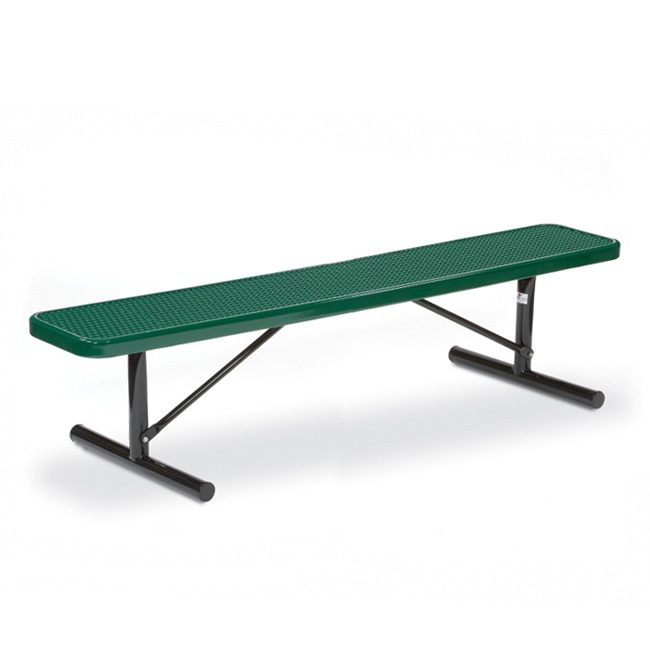 Strong vinyl coated expanded steel benches resist all forms of sporting abuse. Bench legs are 2 3/8″ steel in ground, surface mounted or portable type. Bench Size: 10" x 72"